Heritage Appraisers offers a variety of solutions for retail stores, independent jewelry appraisers, and insurance claim representatives. 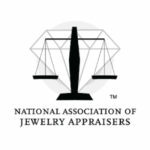 The Appraisal Clinic is a high-touch service in which certified professionals perform appraisals onsite. You are able to take advantage of high level expertise without the overhead of additional staff. Our Mail in service enables you to offer a convenient service to your customers that comes at little up front cost to your store. Heritage Appraisers' Affiliate Program is a great opportunity for independent appraisers to increase revenue. Work with the top jewelry appraisal company in the country and watch your business grow. The Loupe, jewelry appraisal software can be your most powerful tool for your appraisal business. Designed for both the beginner and experienced appraiser, The Loupe allows you to effortlessly move through a complete appraisal with accuracy and speed. Click here to learn more about The Loupe. As a GIA GG and independent fine jewelry appraiser, who has worked with a few different jewelry appraising software programs over the last 20 years, I can honestly say that The Loupe has been my favorite by far. - Jodi Hudson, GIA G.G. As a seasoned jewelry appraiser I have used several software programs over the years and have found the Loupe very easy and efficient to use. It's extremely intuitive and the learning curve is short. All of the important features I need are there, and it instantly creates a digitally signed pdf for emailing the client when I'm done. That's a feature many other programs do not do and one that I cannot do without. Highly recommenced! Our team of professionals can help your claim representatives recover lost or stolen jewelry for your policy holders by finding the closest match to what they lost. GEMPRINT®, the world's most sophisticated, non-invasive, and positive identification technology that records the unique optical 'fingerprint' of each diamond, is now available at Heritage Appraisers Inc.'s Beachwood, Ohio Jewelry Appraisal location.